The agriculture scientists and educationists today laid stress on adopting `organic farming’ in agriculture to save human life from life-threatening diseases including Cancer. They warned that the over-use of chemical fertilizers, insecticides and pesticides is playing havoc with life as soil and underground water is turning unfit for human consumption and food chain is fast getting poisoned. Dr.Neena Chauhan, Assistant Scientist at YS Parmar University of Horticulture, Nauni, Solan (HP) stressed how the horticulture which provide primary staple food for the humans is getting poisoned due to heavy use of chemical sprays. While emphasizing that to attain higher growth rate in agriculture, focus must be on Horticulture, she said the demand is growing for organic products world over. Dr.Charanjit Singh Aulakh, Professor at Punjab Agriculture University (PAU), Ludhiana, gave a detailed account of the origin of Agriculture and how the use of chemicals and fertilizers in 1960s has created a crisis like situation. ``The food products are turning inedible. The diseases like Cancer are spreading and there is emerging co-relations between use of a pesticides, fertilizers and deteriorating human health’’, said he. 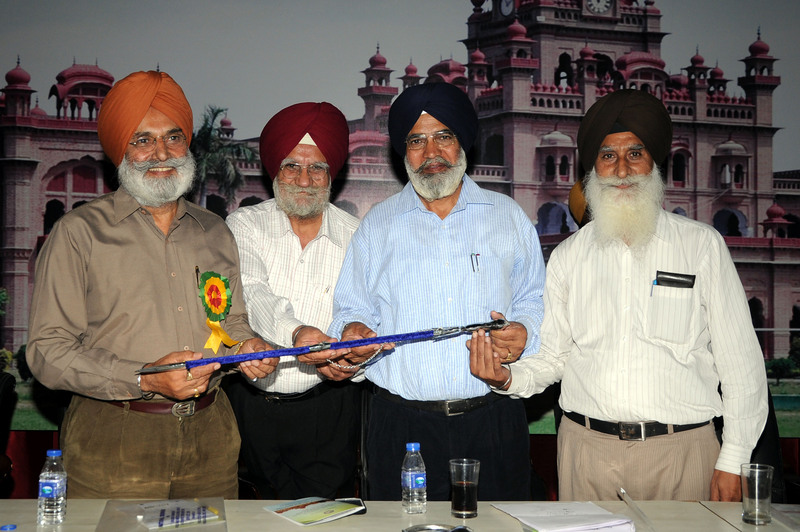 Dr.Rajinder Singh said the organic farming was the only answer that can save us from hazards of present day farming techniques. 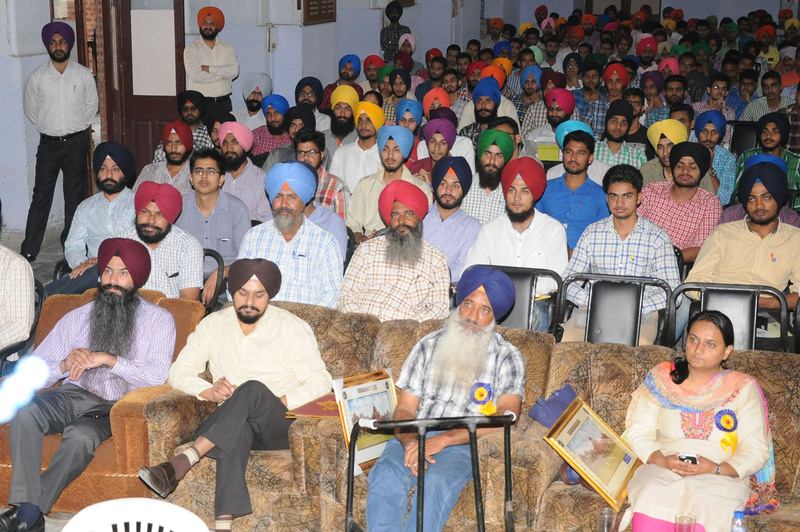 Khalsa College Governing Council honourary secretary Rajinder Mohan Singh Chhina who was chief guest at the seminar said there is need for mass level awareness amongst the farmers to adopt organic farming. He said educationists, scientists, government departments and students of agriculture can play vital role in spreading awareness about the benefits of chemical-free-farming. Principal Dr.Mehal Singh honoured Chhina and other experts. 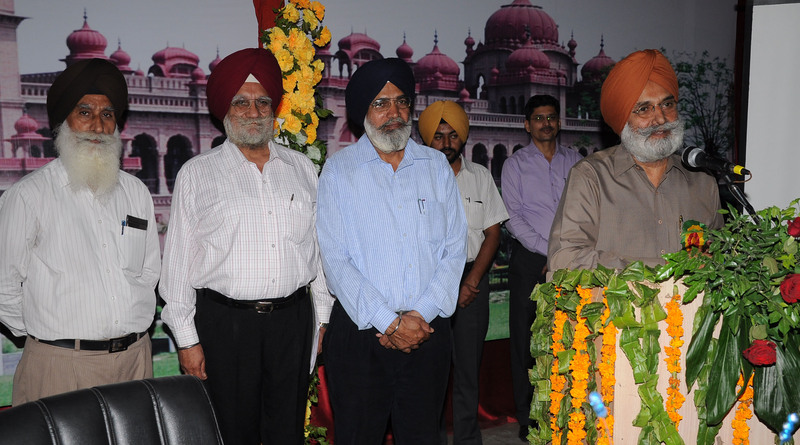 Chhina and Dr.Mehal Singh also honoured Deputy Director, PAU Dr. Bhupinder Singh, Deputy Director, Horticulture Department, Punjab, Baaz Singh at the occasion for their contributions to new ways of agriculture in state. 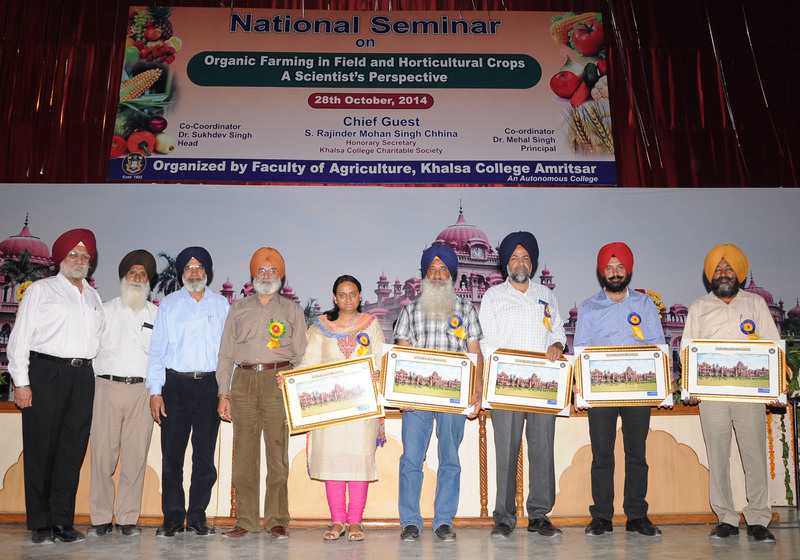 Dr.Sukhdev Singh, head, department of agriculture, Khalsa College, thanked the experts and participants and stage was managed by Prof.Randeep Kaur Bal. Others present included Dr.Didar Singh, Dr.Gurdev Singh, Prof.Satnam Singh, Dr.Gurbaksh Singh, Prof. Navtej Singh, Prof.Rakesh Sharma, Dr.Kanwaljit Singh, Dr.Narinderdeep Singh , Prof.Amarinder Singh and Prof.Mansimran Singh.